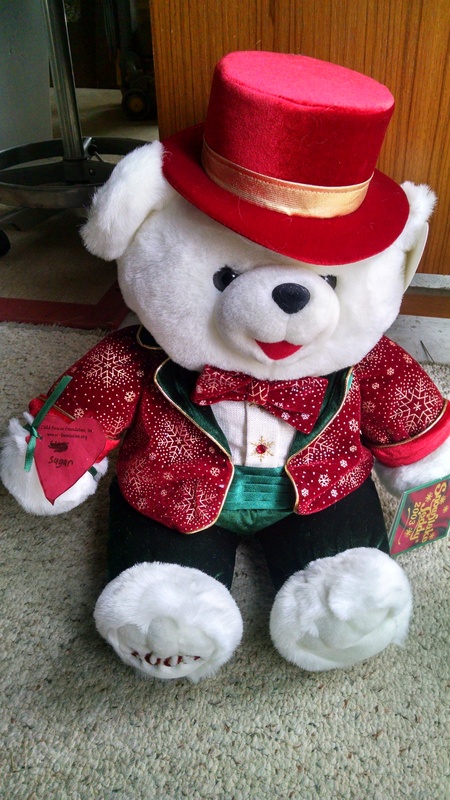 TBP Teddy Bear Project | Child Rescue Foundation, Inc.
What: “Give A Bear and Give a Dollar,” .80 cents of every dollar goes towards kids in crisis. Recycling and size, shape, gender, job description or make of plushie. 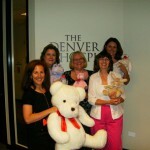 Raising over 100,000 plush animals, new and slightly loved, re-tagged by children in Colorado, named and delivered, as a symbol of unconditional love for kids in crisis. We were awarded the Presidents Point of Light Award for this effort. 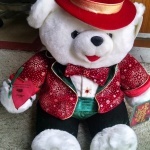 NEW:This year we are encouraging all donors to donate more new animals, and plush animals with the tags on. 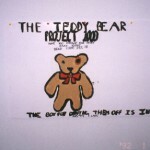 Frequently asked questions WHAT:The Teddy Bear Project ™ has begun! 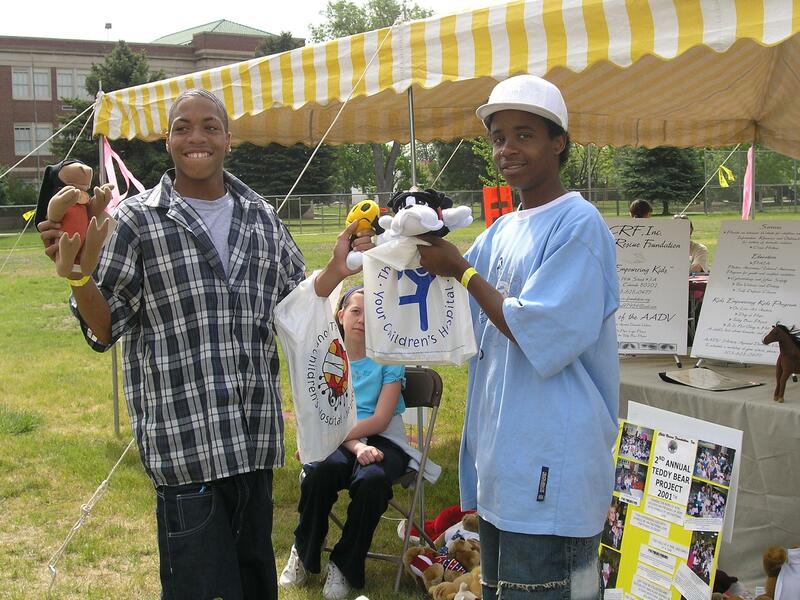 Since 1999 the community has been collecting, tagging and delivering plush animals (new and slightly loved),of any size, shape, race, color, gender or occupation. 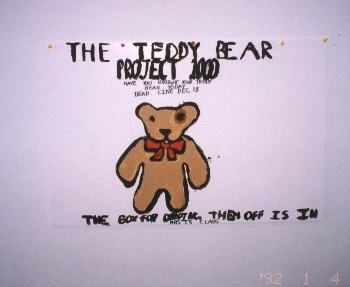 The Child Rescue Foundation, Inc. designed the Teddy Bear Project™ in the fall of 1999 as a way to reach children in crisis with a symbol of unconditional love. Mission:To provide outreach, referral and financial assistance to children and families impacted by violece (www.cr-foundation.org). WHO: From the very young, to the not so very young, everyone can make a difference in the life of a child. 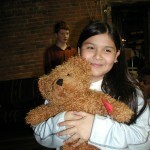 SIGN-UP:Please visit the web site at www.cr-foundation, follow the prompts for Teddy Bear Downloads and go to MHGS button. Step 3 Post collection- Tag! Have a tagging party with your collectors. This is where the Kids Empowering Kids part of the program swings into full gear!! Step 4 E mail us at childrescue97984@aol.com for delivery. How Many Bears Should We Donate? Some troops gave several hundred bears. Some of the smaller and younger troops collected 5-25 animals per troop. Every effort counts! Where Do the Bears Go? 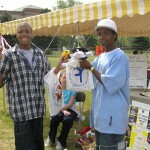 These animals went to children in hospitals, trauma centers, shelters, the Courts and Human Services and many more. This year, we will be adding over 900 homeless children and 200 children adopted by CRF working with the Drug Enforcement Agency. We strive to find the children who get overlooked at the holidays. What is the purpose of the hearts and the names on each one? The hearts are a universal symbol of unconditional love. Feedback from children comes in the form of cards made from hearts. The names are a personalized way for children to say to another child “We cared enough to make this special.” Kids Empowering Kids. Can my troop deliver? Do they see the children in person? Children in family crisis often are embarrassed about their situation, so often prefer not to see those who donate. Delivering to organizations with your collectors provides a smile from the receiver to the children, so your collectors areacknowledged in person for their kindness. How great a need is this service? 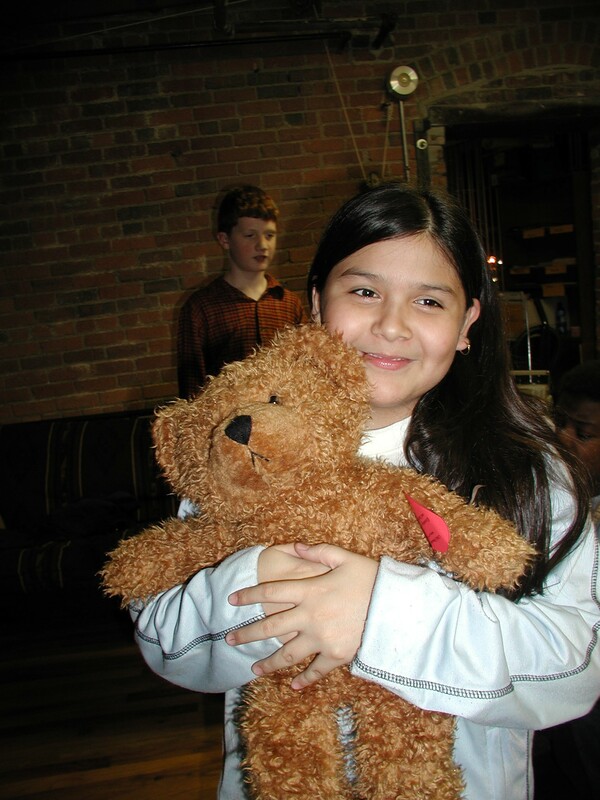 Safehouse Denver serves 10,000 women and their children annually. In Denver alone, police report responding to over 6000 domestic violence calls annually with over a 1/3 involving children who witness the violence! Gathering Place (a shelter for women and children) reports serving over 130-300 women and children nightly. We move roughly 22,000 in 3 months, but the need is always there year round.